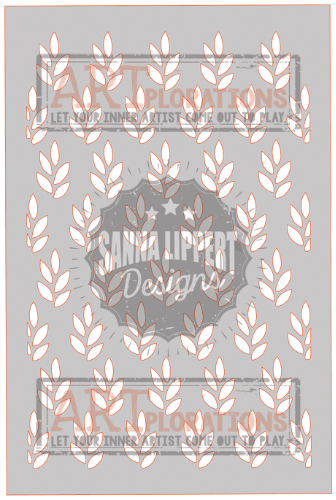 ONE (1) package of LEAVES 1 stencil in the Sanna Lippert Designs line. Stencil is approximately 4 1/8 inches wide by 6 1/2 inches tall and is made from high quality transparent blue stencil material. This stencil is packaged in a 5" by 7" resealable hang hole cello bag.